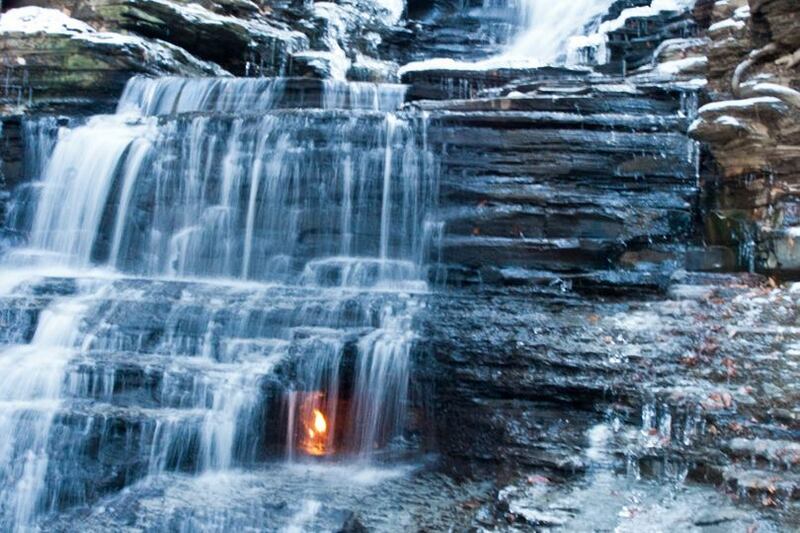 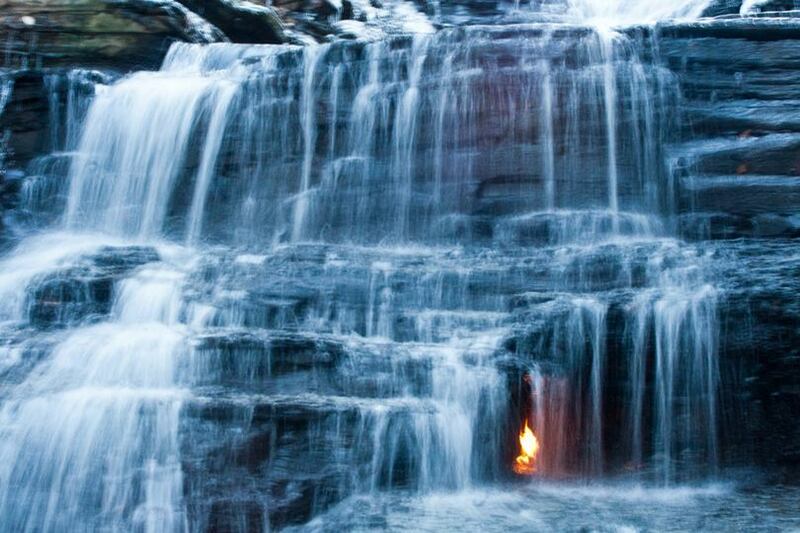 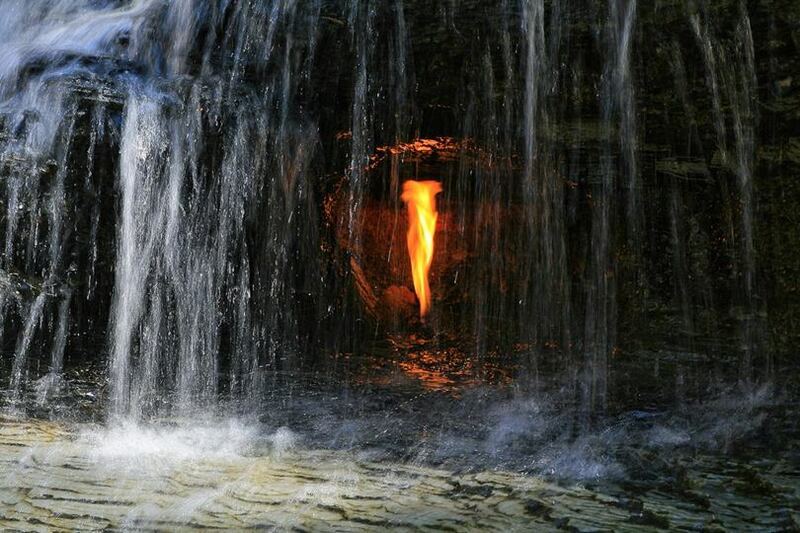 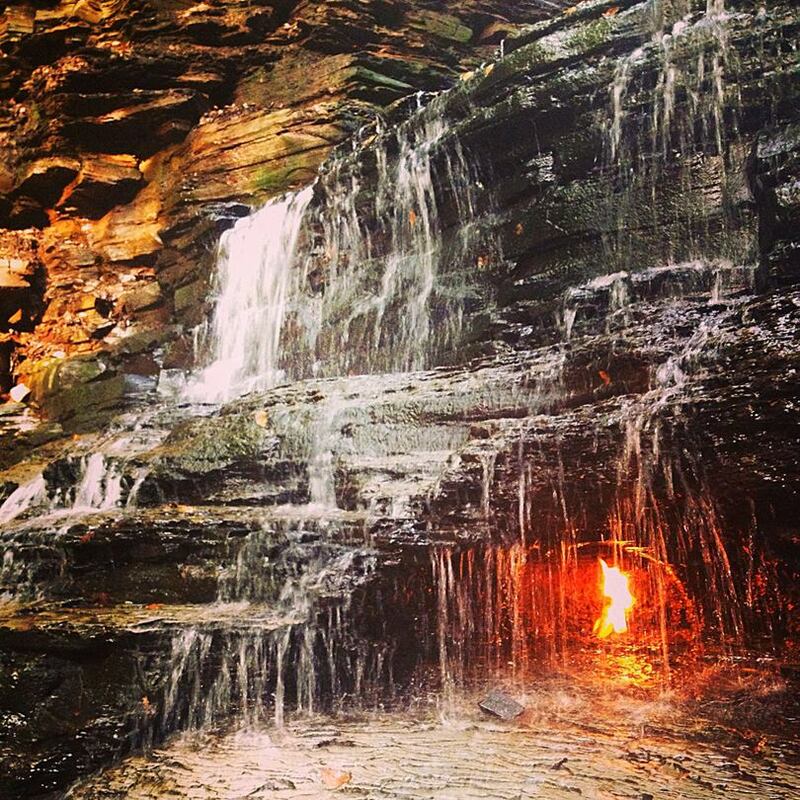 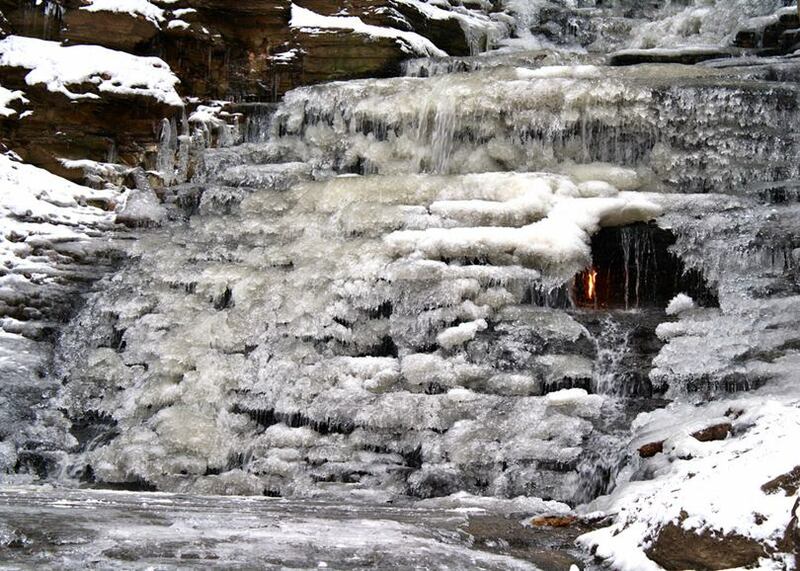 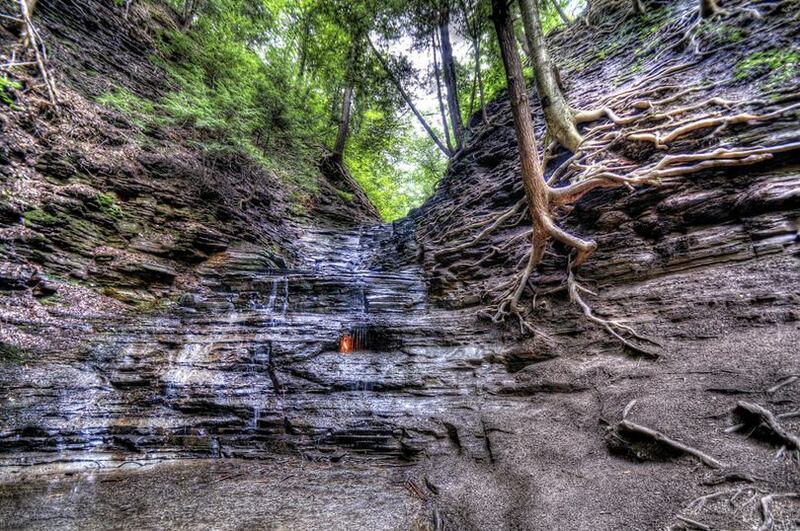 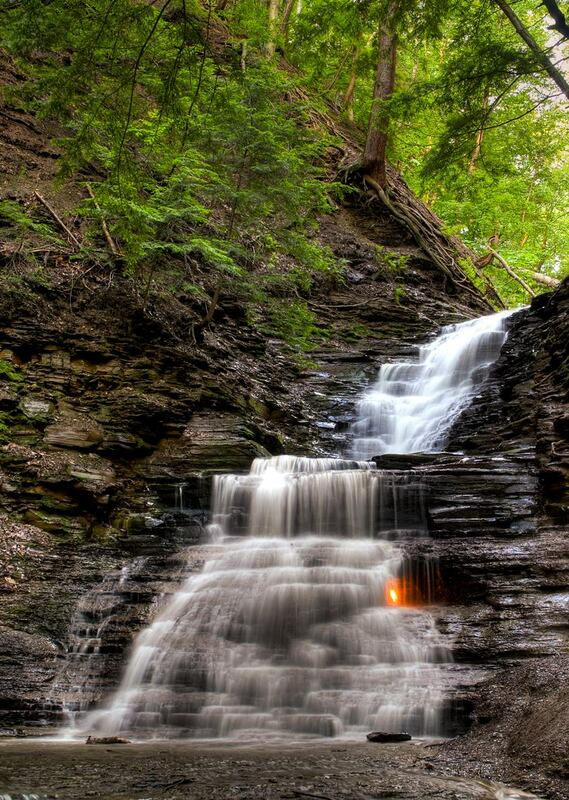 A mysterious flame sitting behind a small waterfall located in the Shale Creek Preserve in Western New York, USA. 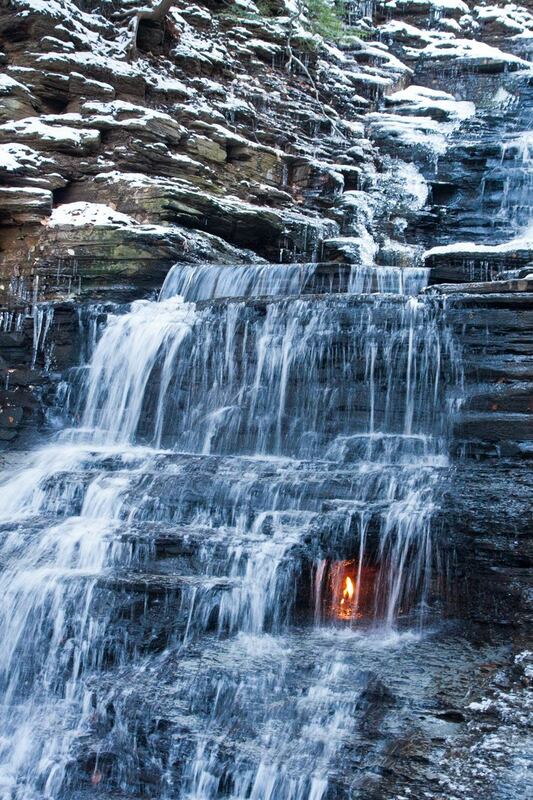 A small alcove at the waterfall's base emits natural gas, which can be lit to produce a small flame, although it can be extinguished and must occasionally be re-lit. 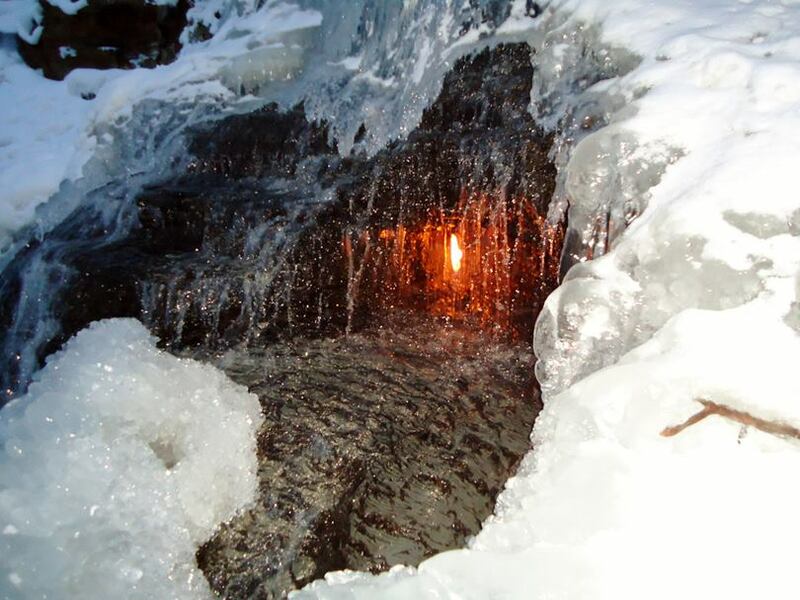 It is one of a few hundred "natural" eternal flames around the world, fed by gas seeping to the Earth's surface from underground, said Arndt Schimmelmann, a researcher at Indiana University in Bloomington, Ind. 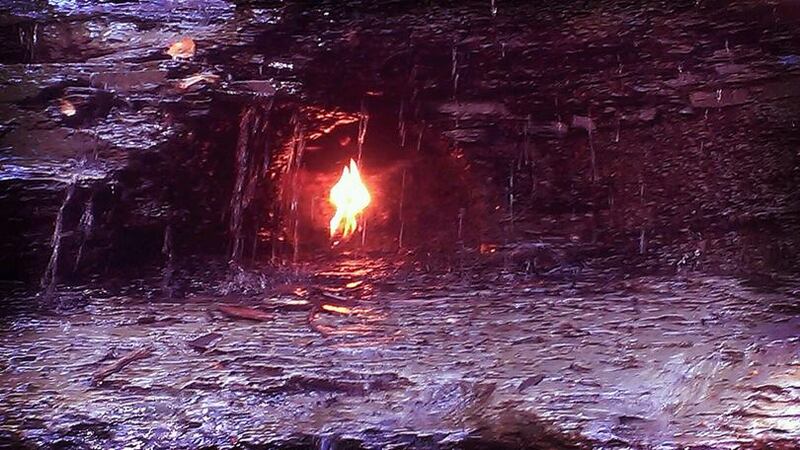 Typically, this type of gas is thought to come from deeply submerged, ancient and extremely hot deposits of shale, a kind of rock. 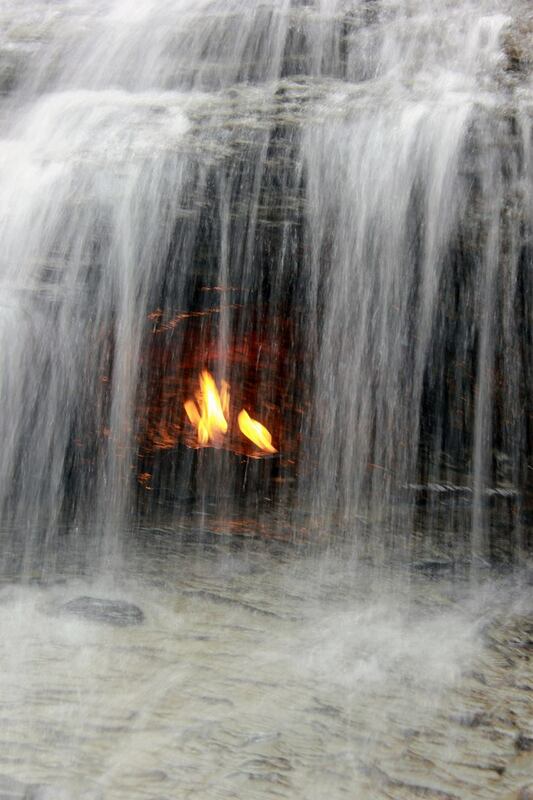 Temperatures have to be near the boiling point of water or hotter to break down the large carbon molecules in shale and create smaller molecules of natural gas, Schimmelmann explained.